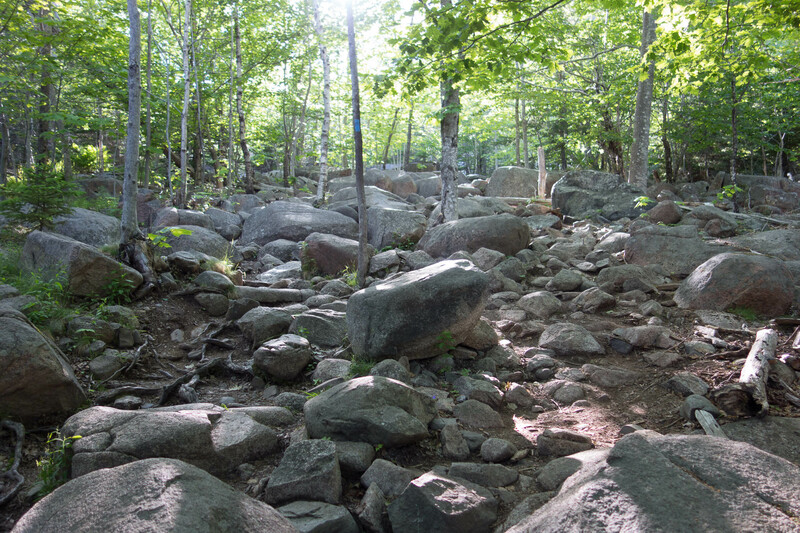 There are a lot of trails in Acadia. Since we were only there for 10 days, we wouldn’t have time to hike them all. 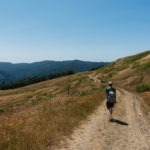 For our first “major” hike, we decided to combine two very different hikes into a single trip – Ocean Path & The Beehive. 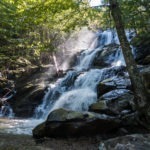 You could easily do the hikes individually, but we wanted more of a challenge. 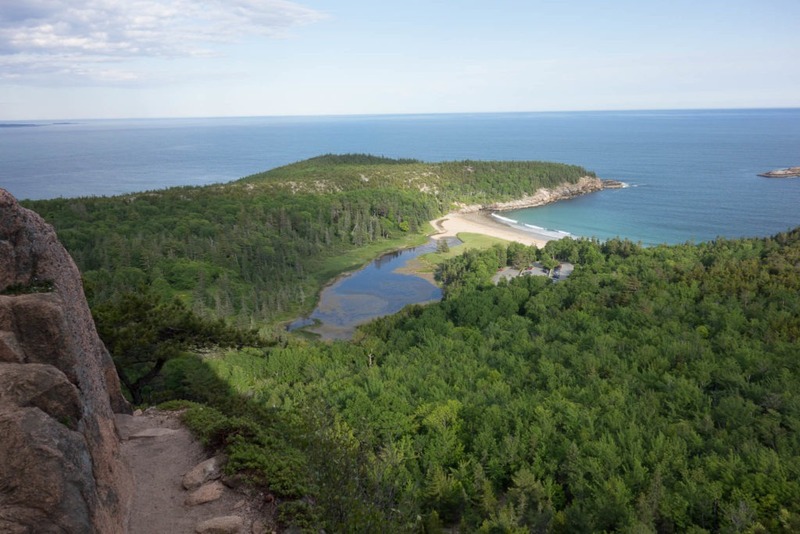 The hikes are on the eastern side of Mount Desert Island, only 6 miles from Bar Harbor. 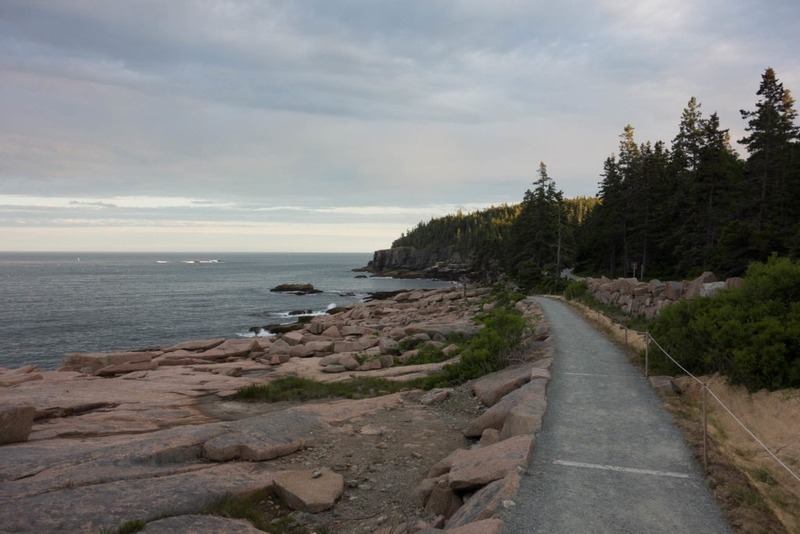 Ocean Path is 2.2 miles one-way on easy terrain, alongside Park Loop Road. It has a great payoff if you like rocky beach views (which we do). On the other hand, The Beehive is a 1.5 mile strenuous loop trail up a mountain (including iron rungs) that has gorgeous views as you climb up the cliff face. It’s a unique hike, so we didn’t want to miss it! There’s an interesting dichotomy between the two trails when you combine them, at a distance of about 5.9 miles. 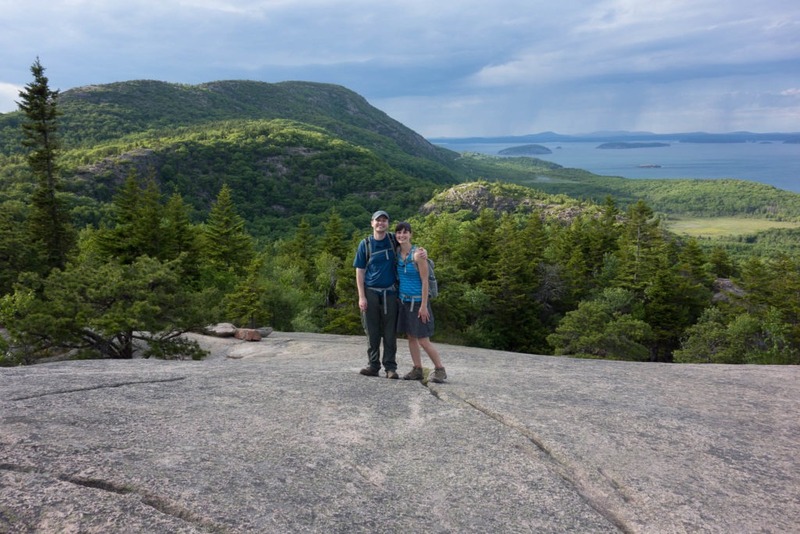 After navigating Acadia’s partially one-way Park Loop Road, we parked our car near Otter Cliff Overlook, a peninsula on MDI. We were careful not to drive too far and miss the last parking point, so we parked at the first lot we came to, on the southernmost part of the peninsula (there are 2 lots – Otter Cliff and Otter Point). Acadia can be crowded, and parking lots fill up. We got a late start for the hike, having done Jordan Pond House and Waterfall Bridge earlier in the day. So we missed a small portion of the Ocean Path trail, but at least we found parking. We crossed Park Loop Road and started our Ocean Path hike (more of a walk, really). 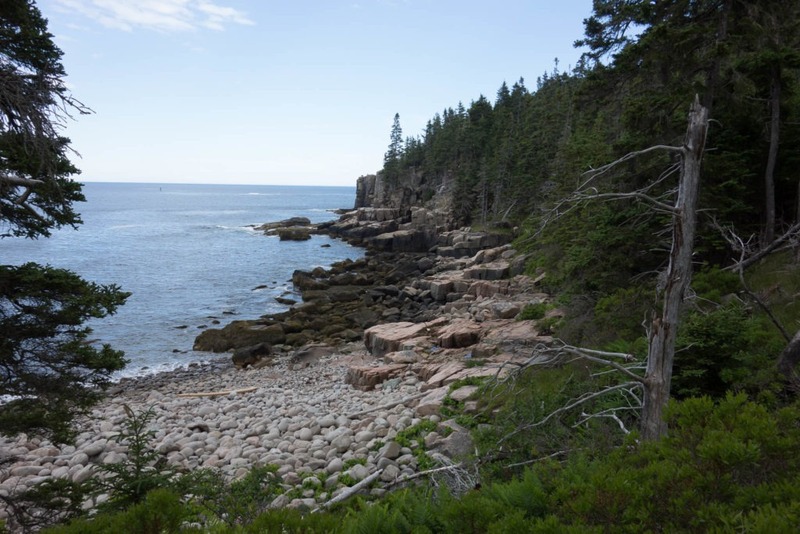 Immediately we were met with gorgeous rocky coastline views. Apparently lots of people like rocky beaches, because the trail was packed with tourists. 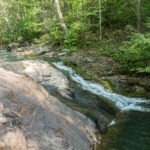 As you hike north on a gravel path, there are many scenic overlooks, including a rocky beach with bowling ball sized boulders and vertical cliffs. There were many photo ops, so we stopped often. We spotted the only ocean-side sandy beach, aptly named Sand Beach, from several points along Ocean Path. Rocky beach along Ocean Path. Watch your footing! 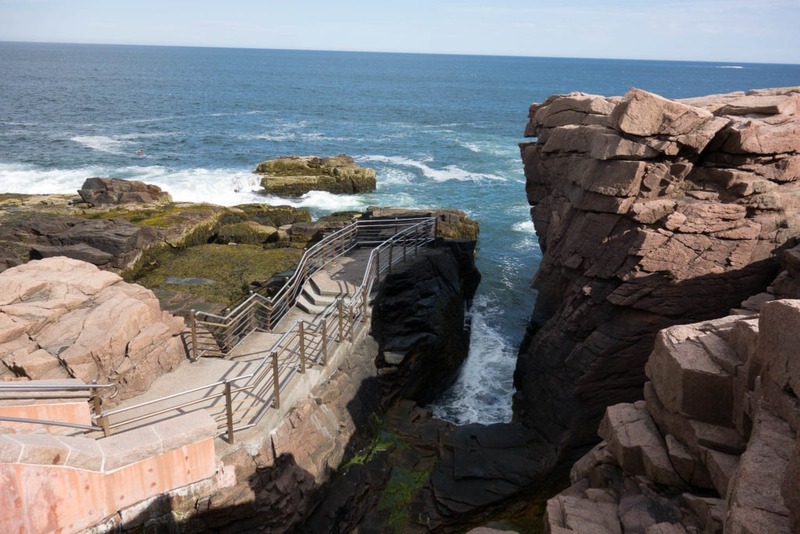 After about 1.2 miles, we reached Thunder Hole, a popular spot where you can hear the “thunder” of waves hitting the rocks through an underground cave. A gate kept visitors from going past the safe point due to current weather/sea conditions. The view was nice and the “thunder” was an interesting experience, but really wasn’t as great as we hoped. Perhaps it’s more spectacular at high tide. Though we were tempted to stop at every overlook, we had to keep these stops short so we could finish our hike before nightfall (particularly given the potentially dangerous terrain of The Beehive). Eventually, we reached the end of Ocean Path at Sand Beach. If we had more time, we would have gone for a walk in the sand (a few days later, we went to Sand Beach for a family-oriented Stargazing Ranger Program that was focused on storytelling). 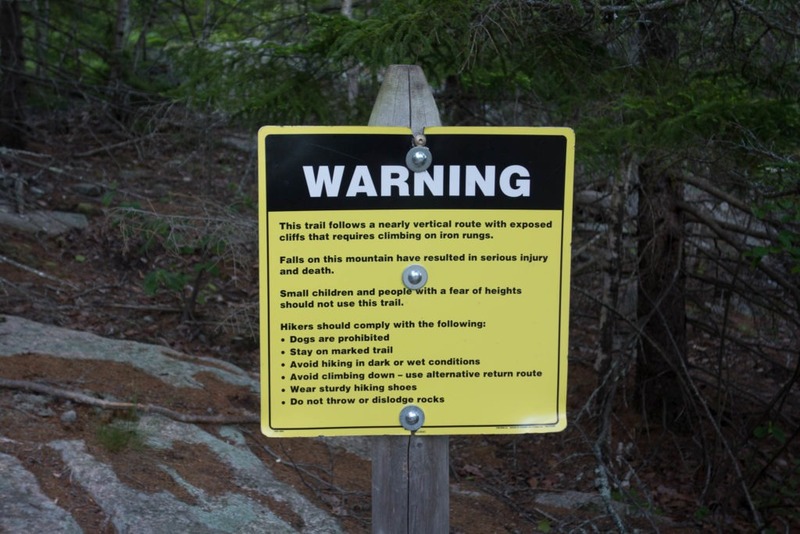 We crossed Park Loop road to continue onto the Beehive. 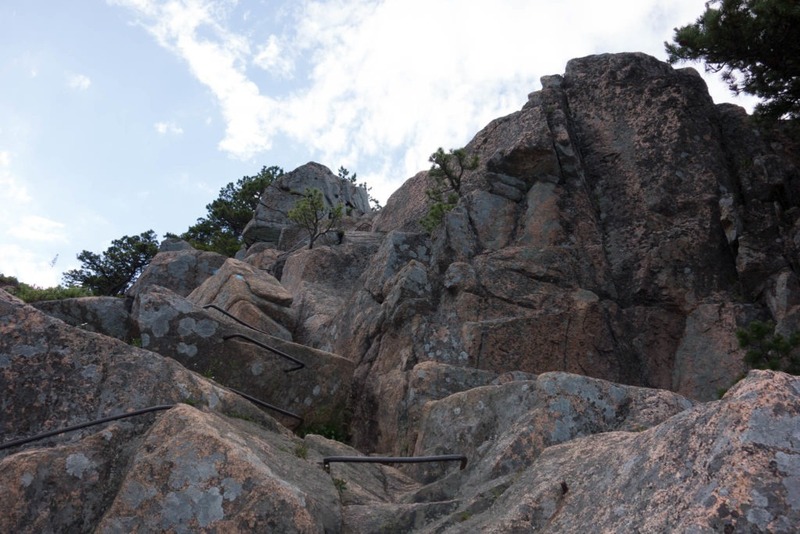 The Beehive is an iconic hike with major view payoff, but the catch is that much of it is vertical, taking you up the rock face via iron rungs. The difficulty of the hike, combined with our later start time, meant the hike wasn’t too crowded. The Beehive starts with some bouldering and otherwise moderate hiking, before you reach the first iron feature, a small bridge. The picture doesn’t do it justice. It doesn’t give you any sense of what you might feel when you cross it (or what went through my mind as I surveyed the rocks below and imagined myself crossing it). There is no handrail, and I couldn’t turn to the side because I was wearing a daypack. Carefully, I crossed to the other side and took a sigh of relief. This is the part where you commit to this hike (or not). After T crossed behind me, he commented that the bridge felt “slippery,” which is sort of terrifying to hear when you’ve been married for a month. As we continued up the vertical ascent, the woman behind us and I joked about falling to our deaths. T was rolling his eyes and just enjoying himself, but there were definitely parts of the hike that felt scary. 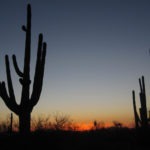 I guess I have to get used to it, since our goal is to explore all 59 national parks. And when you get to each viewpoint, it’s totally worth it. 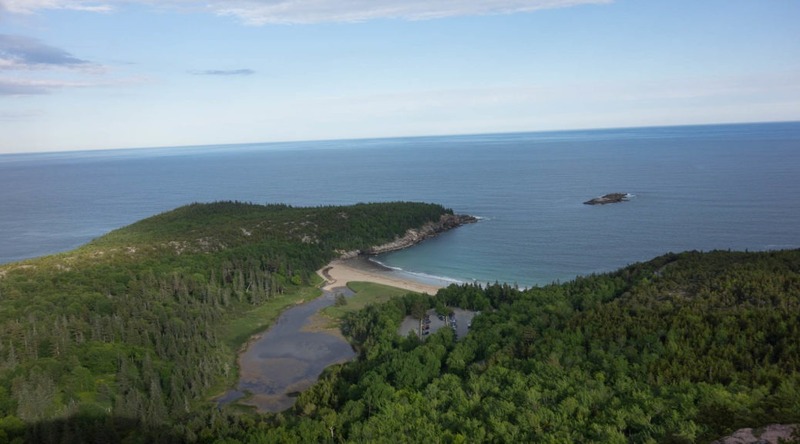 For example, there are gorgeous views of Sand Beach from The Beehive as well. As we followed the cairns, we ascended more rock stairs and iron rungs. Finally, we reached the summit, where we were able to walk on relatively flat rocky ground (!). The view was beautiful, as we could see Champlain Mountain fading into the distance and rain sweeping over the ocean. We ate a snack, got some fellow hikers to snap a photo, and began the descent. The Beehive continues down to The Bowl (a small lake to the west), but we decided to skip that part since it was getting late. We turned left to go down a small connector trail. This part was much easier, and led us down the rocks and back to Ocean Path. Us at the summit of The Beehive! Thoughts: The vertical part of this hike was intimidating at first, but I’m so glad I did this hike! Just stay on the trail, remember to breathe, and you’ll be fine. And don’t look down too much. 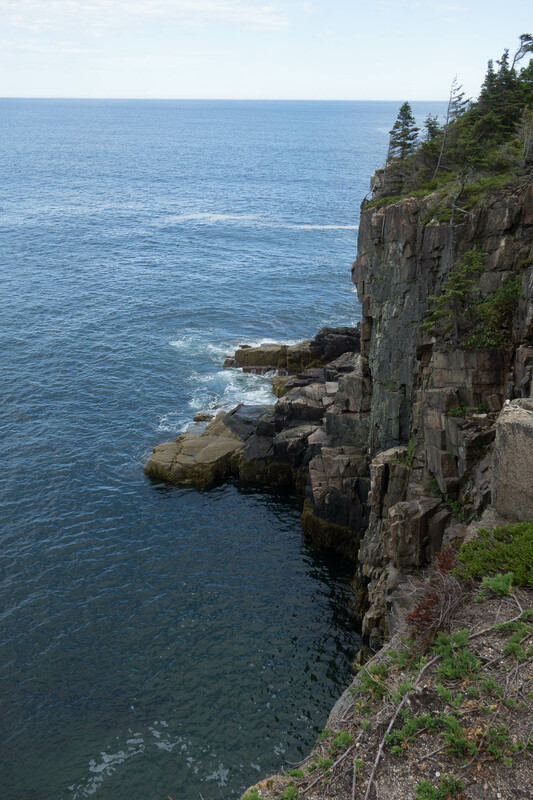 Trails in Acadia have some unique features, along with amazing views you won’t want to miss. 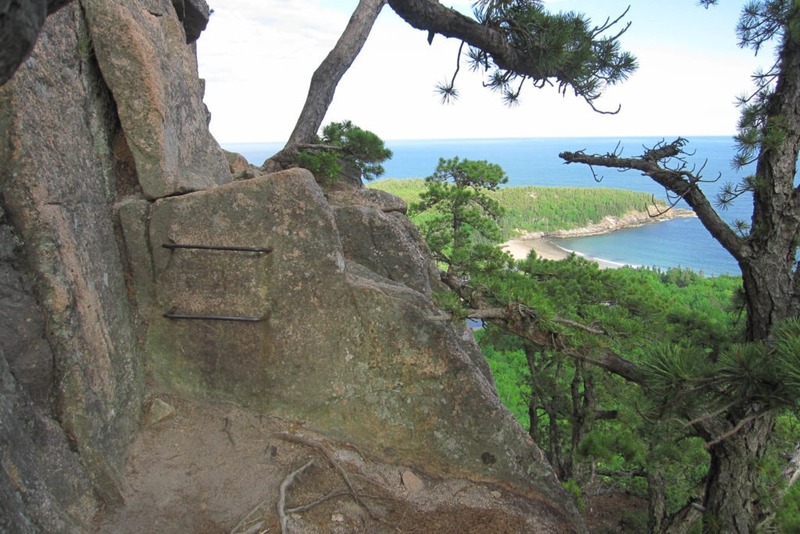 Two other trails in Acadia have iron rungs: Precipice and Jordan Cliffs. Next time, we’d love to do the Precipice Trail – it’s similar to the Beehive’s terrain, but is longer and more strenuous. 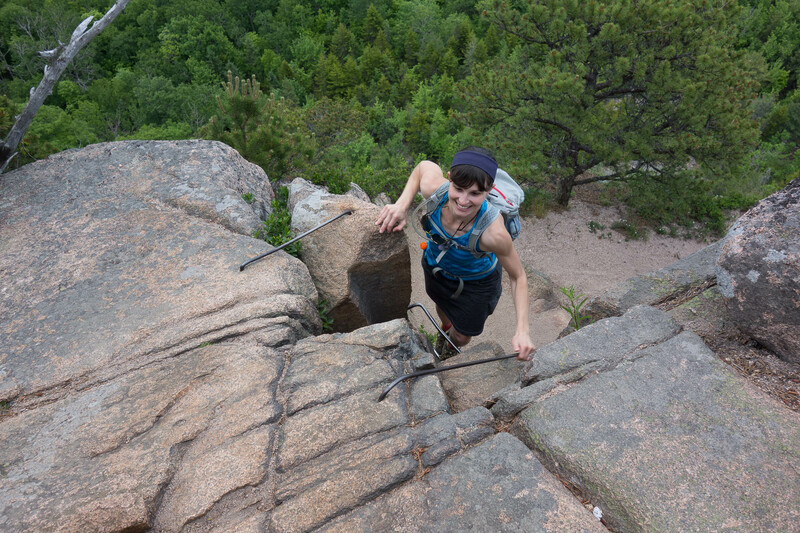 From March through August, the Precipice and Jordan Cliffs Trails are typically closed for Peregrine Falcon nesting. 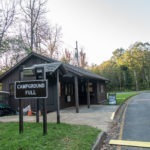 We went in 2016, and both trails were closed beginning March 15, and reopened on July 29. Make sure to check alerts before you go. Trailhead Parking: Park near Otter Point (Google Maps Directions). There is another parking lot at Otter Cliff (Google Maps Directions), if the Otter Point lot is full. 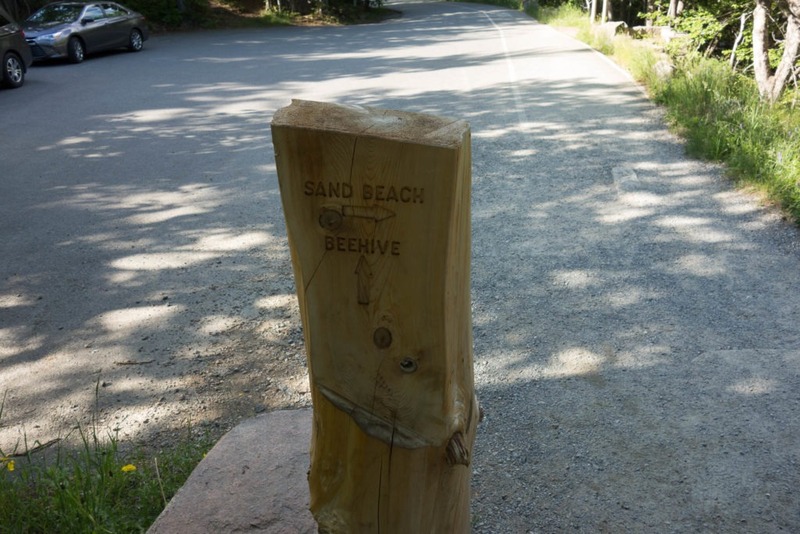 If you’re just doing the Beehive, park at Sand Beach (Google Maps Directions), or there are a few spots along the road beside the Beehive Trailhead. 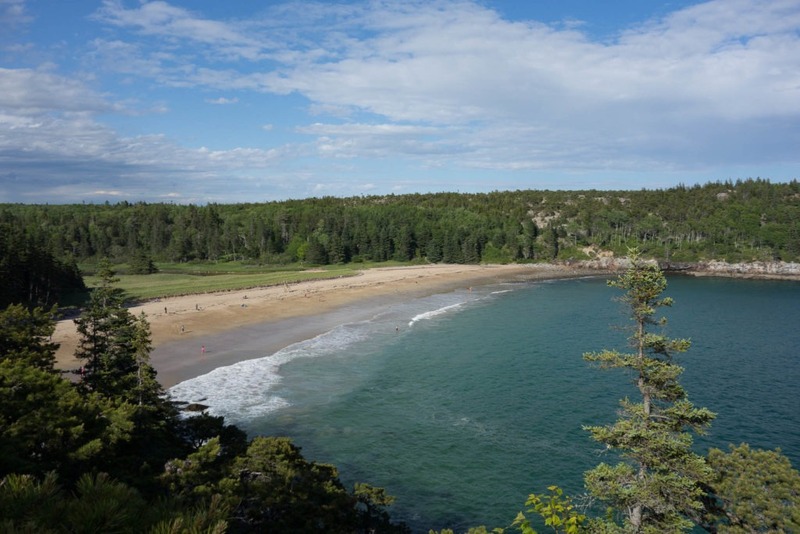 If you’re just doing Ocean Path, you can hike from either direction – park at Otter Point/Otter Cliff or at Sand Beach. 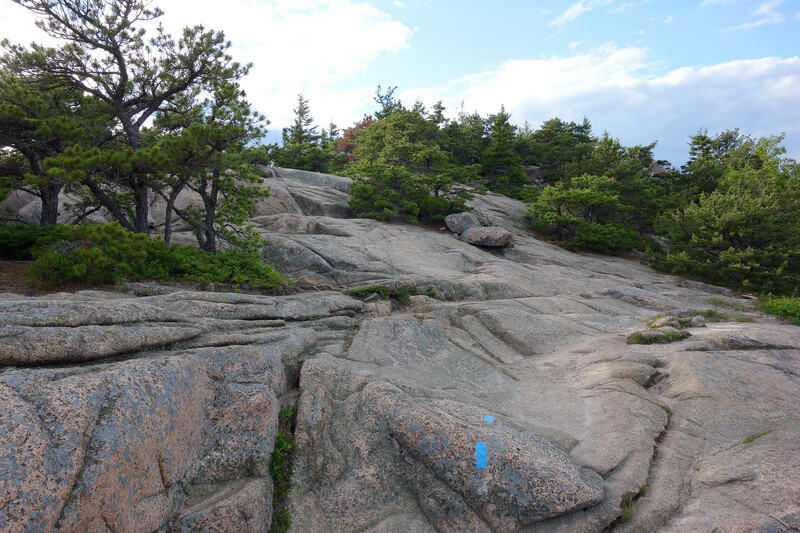 Trail Directions: Park at Otter Point or Otter Cliff. Cross Park Loop Road and turn left onto Ocean Path. 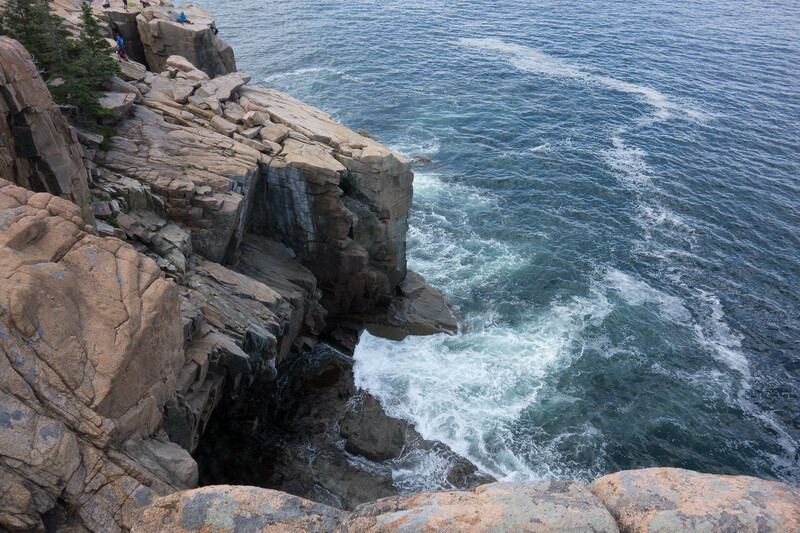 Go 1.2 miles to Thunder Hole. Continue another 2.0 miles to Sand Beach. At this point, the main Ocean Path ends and you can begin the Beehive. Cross Park Loop Road, and continue until you reach the Beehive trailhead on your left. Continue 0.2 miles until you reach a fork. Keep right to continue on the Beehive (the straight/left path is the Bowl Trail, which you’ll return on). 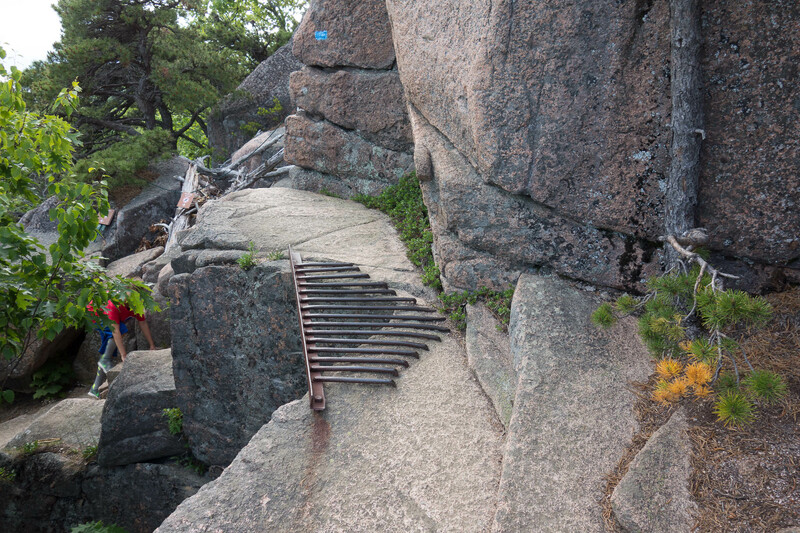 You’ll climb iron rungs until you reach the summit, about 0.2 miles. After taking in the views at the top, continue straight toward The Bowl. The trail will skirt the lake, then you’ll come to an intersection with the Champlain South Ridge Trail. Turn left onto the Bowl Trail and keep on the trail for 0.5 miles, at which point you’ll reach the intersection with the Beehive Trail. Continue straight to return the way you came for 0.2 mi. back to the trailhead. Return on Ocean Path.